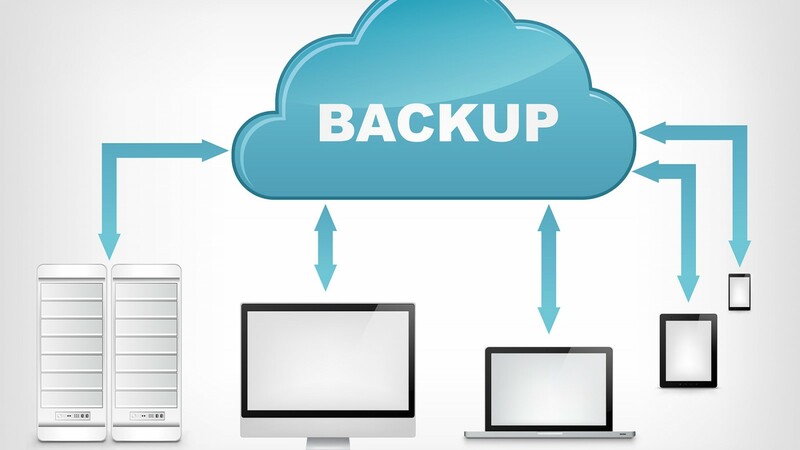 When talking about WordPress, backup represents a process of copying WordPress’ files and databases to a safe location. So, in case you mess up your site, get hacked, or if you simply need an older version of the website for any reason, you can restore it painlessly. Usually, your WordPress hosting provider will get you covered. Most of the hosting companies today promise to do regular backups of your site. Some companies will back up your site on a daily basis, while the other will do that every week or month. Still, this is something you can’t completely rely on. Yes, most of the hosting companies will keep up to their promise and have your backups accessible all the time, but do you really want to entirely rely on someone else when it comes to your site? That’s why you need to take care of your own backups. Don’t get us wrong; you will probably be able to restore your site from the hosting company, but if you make money from your WordPress site, you shouldn’t gamble on safety. As you might already know, WordPress stores plugins’, themes’ and users’ data both in files and databases. To start your manual backup, you will want to download all the custom files from your site. If you open the main WordPress directory, you will find several subfolders like wp-admin, wp-content, and wp-includes (check the screenshot below). Those folders contain valuable data that all combined power up your site. For example, in the wp-content folder, you can find all of your themes, plugins, upgrades, and uploads. You don’t want to lose any of those files, right? What about files located in wp-includes and wp-admin that hold other necessary info for running your site? 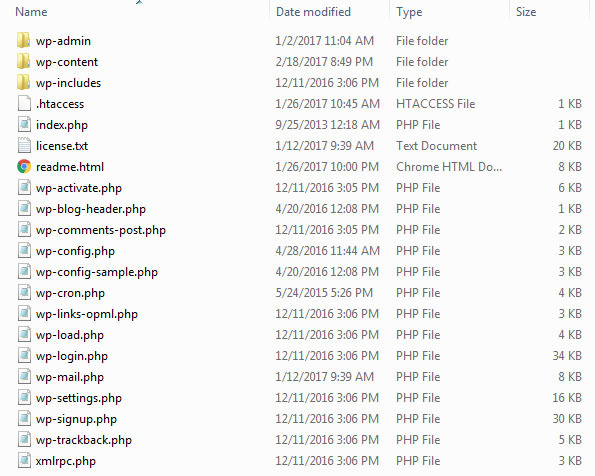 And that’s just the tip of the iceberg; there are some essential files in the root folder like wp-config.php that keep all the details about your site’s configuration. You need to take care of all of those data so let’s see how to back them up. To get started, you will need an FTP access to your site. If you have never connected to your FTP account, you should find all the necessary information in the email from your hosting company, or you can set up a new account from cPanel. That wasn’t hard at all, wasn’t it? After three simple steps, now you have a full backup of your WordPress files, and you should keep them safe. Store the folder somewhere on your computer, upload it to a cloud storage, save to an external disk, USB memory stick… just make sure it’s accessible only to you. Restore files by using FTP access? Depending on your connection speed, this may take up to ten minutes. Patiently wait for the transfer to finish the migration of all the backup files. 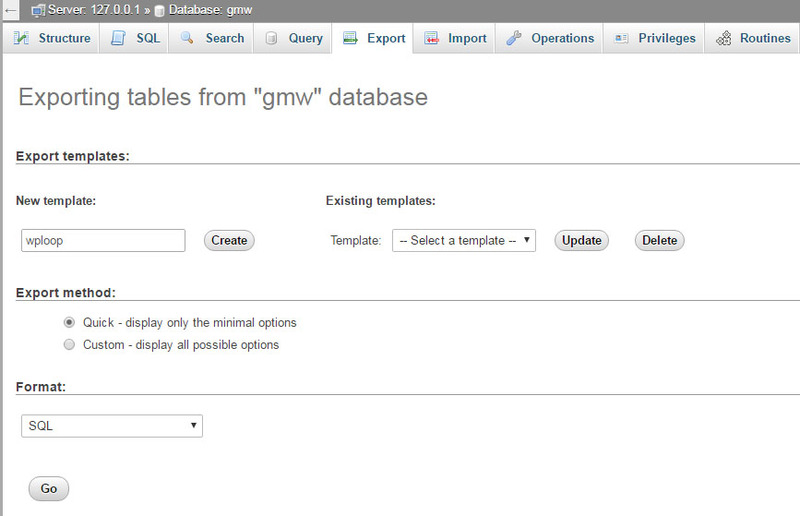 To get a manual backup of WordPress databases, you will need access to PhpMyAdmin. Depending on the size of your site and the speed of your Internet connection, this may take up to several minutes. Be patient and wait for the entire process to finish. If you are on a shared hosting, the chances are that you can’t get access to PhpMyAdmin. If so, contact your hosting provider. You may need to upgrade your account or just ask them to enable the feature. If you have encountered a problem with your WordPress website and need a quick backup, you already know how important it is to take care of your site. If you have been lucky so far, don’t wait to learn from your mistakes. Make sure that your hosting provider regularly backs up your files and databases. Please, don’t be lazy; backup your WordPress site manually from time to time. You never know when you will need those files. After you do the backup for the first time, you will see that it takes just a few clicks to have the latest files stored on your computer.